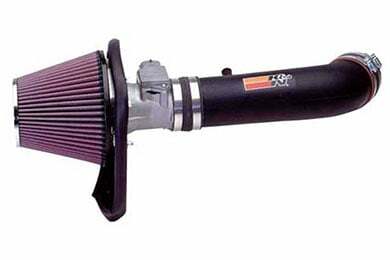 K&N 57-2529-1 - K&N 57 Series FIPK Air Intake (50-State Legal) - FREE SHIPPING! 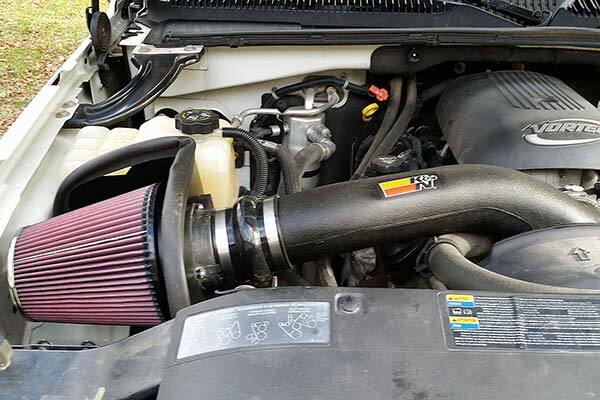 Price was right, K&N rebate made that better, fit with no problems, and is a quality system that look good under the hood. I recommend it. This product has excellent quality and performs great too. 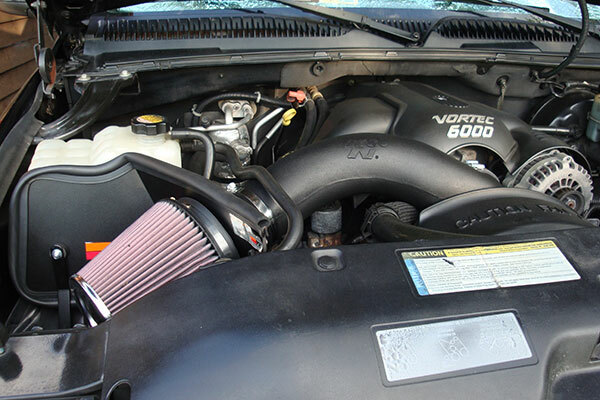 Put some growl under the hood and some pep in my Explorer's step. Fuel mileage seems to be better already. Well made product.Easy to install.Can definitely fell better throttle response.Well worth the time and money. Great fuel mileage and it sounds great! Wouldn't even fit the throttle body, have a second metal line that won't go where they say it should go, grommets the wrong size. And for this kind of money I shouldn't have to run around trying to get parts to make it fit, And It's the right part# too!. Great product, excellent value, I'm really satisfied. 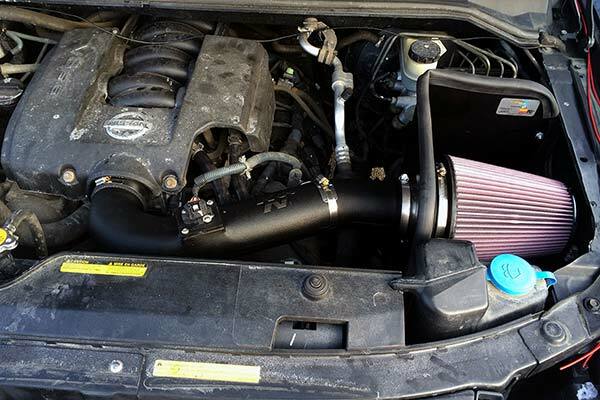 I installed an airaide on another vehicle and all the parts fit, with the k&n two parts were incorrect, grommet for secondary intake was way too small and one of the silicon hoses was too big. Install was easy, instructions were clear, but it was really frustrating that they can't pack the correct items in the box. 2003 4.0l 6cyl Ford Ranger Level II This thing was easy to install, (the hard part was getting the stock stuff removed). Once it's in, the thing "GULPS" air. You can hear it, even from inside the truck. Throttle response has increased "Dramatically". 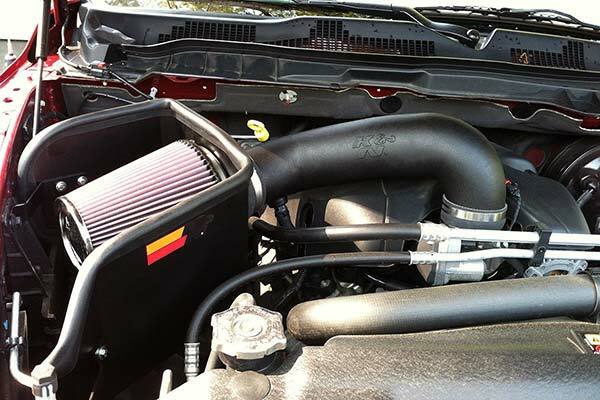 I have used these intake systems in the passed and K&N has always delivered the goods. I would put this product on anything with confidence. They are made to fit YOUR vehicle and they work as advertised. You can feel the performance gain immediately. 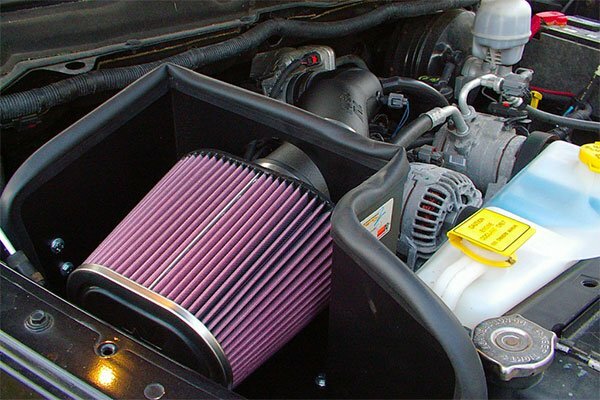 Easy add on to improve power and fuel economy. I can tell a decent amount of mid/top end power. 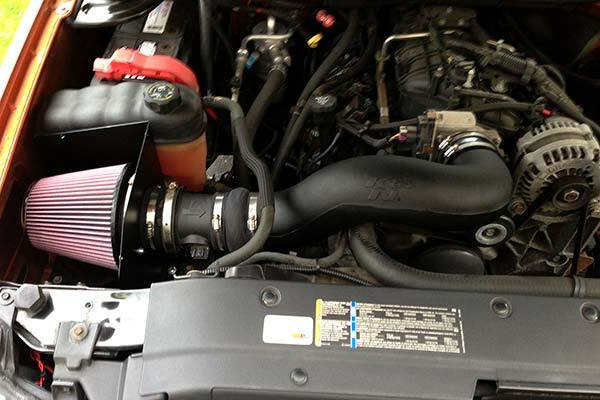 It compliments my throttle body spacer nicely and makes it more effective. It also makes the truck sound deeper and more throaty. 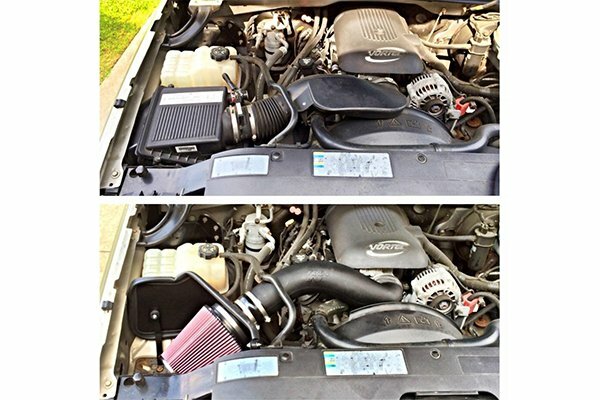 The only downside is that the heat shield for the filter isn't big enough on my vehicle. Otherwise it seems like a good improvement to my truck. 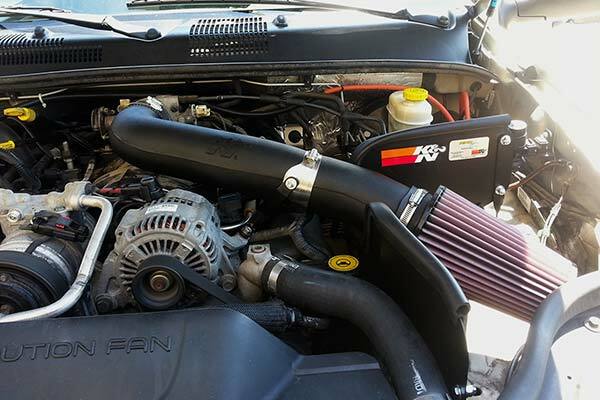 Installed the K&N 57 series air intake at home about three weeks ago. Everything I read about the product was accurate. The sound when I run my truck is more aggressive, and I can definitely tell the truck has more power. Not a huge power increase, but I can't be more pleased with the sound and performance achieved when combined with my Gibson exhaust. Have not had enough time to run numbers on fuel economy improvements since I do not drive my truck often. 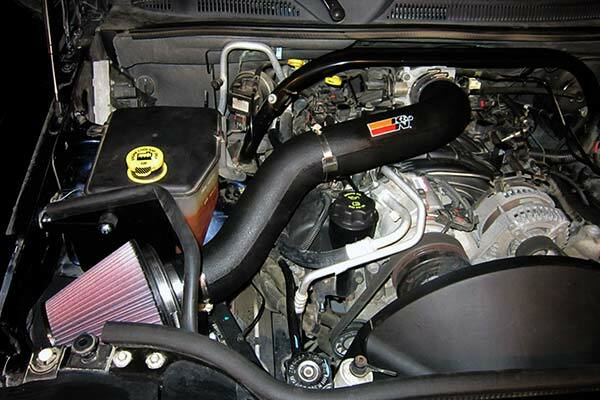 I got this a few weeks back, along with a throttle body space, for my 2001 Ford Ranger. Between the two I gained about 3mpg, as well as a lot of mid-range power. 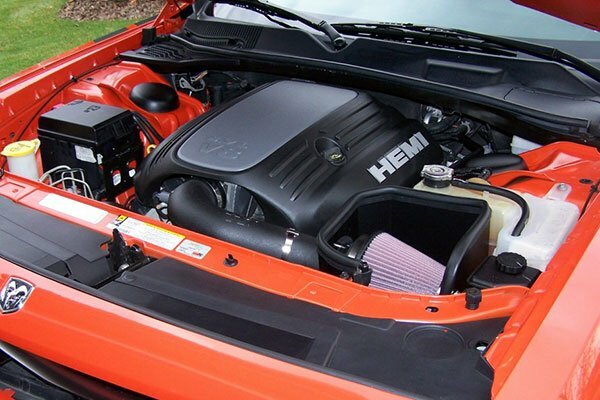 You can hear the intake when it's idling, but when you're driving it's silenced by the road noise. That being said, it's still not loud at all. 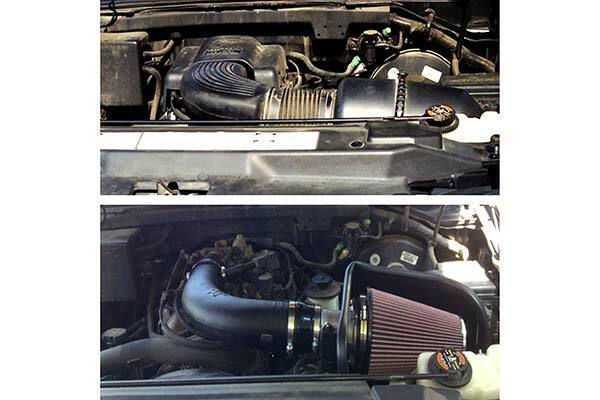 Easy to install, great step by step directions, and of course, you can't been K&N quality. for the most part it works but as far as the design the plastic isn't very sturdy, there was also nuts and bolts that were missing in the kit, the hardware wasn't sealed in a package, just thrown in the box. but overall i can tell a difference in my truck. 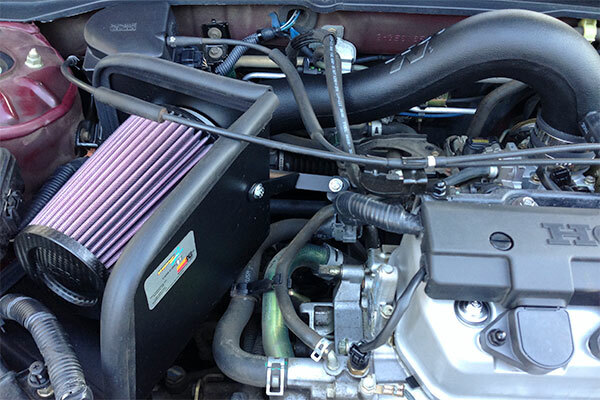 I had a throttle body spacer on orignally and i installed the k&n and there was no room. 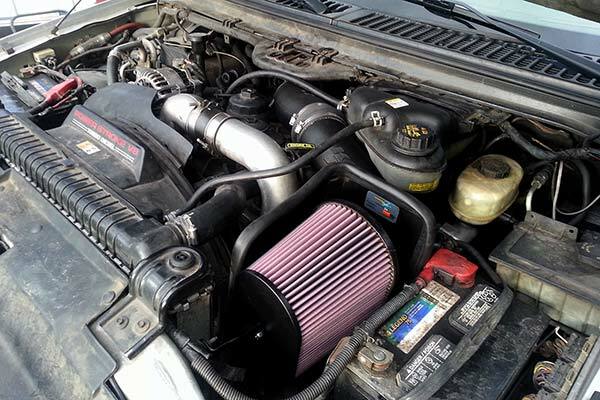 So I took the spacer off and there was plenty of room for the filter looks great truck really does run better. make sure you have your bat. totally off when you install it. 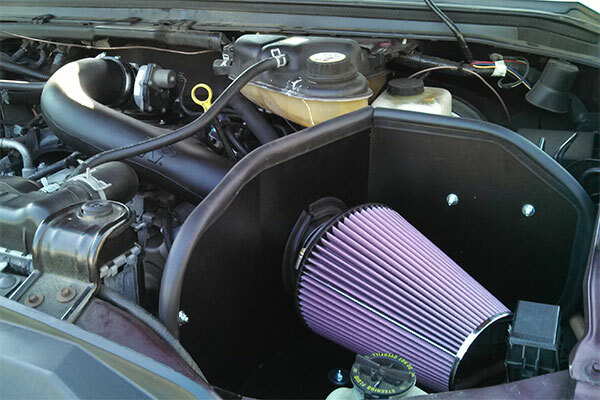 very pleased with this product,very easy to install with enclosed instructions.definite improvment in throttle response and power also gained about 1.5 mile to gallon on fuel very little noise gain with this system. It installed quickly and I was impressed. When my wife went with me for my first trip, She said, "how can they say that will get better gas mileage? You like the way it sounds when you stomp on the gas!" Well, she had me however, when I drive normal it seems to save a little gas. Looks Good, Sounds Good, Easy to install. Took about 45 Min. 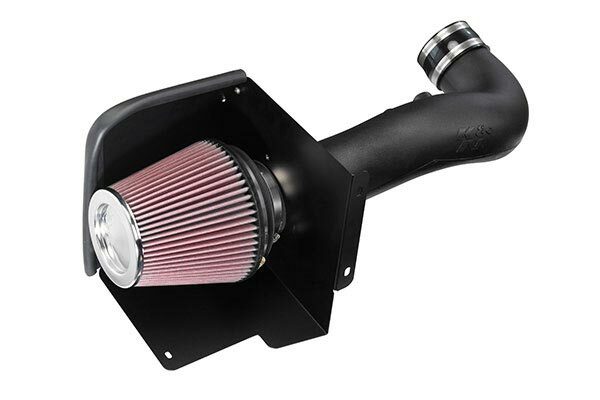 to install on a 2002 4.0 Ford Ranger. 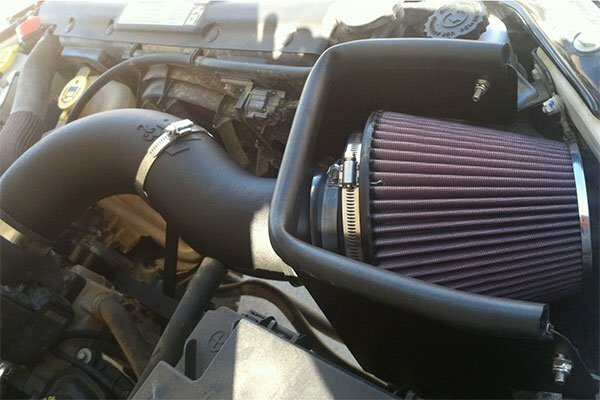 Easy to install, well built and you can feel a slight performance gain. Overall I'm very happy with my purchase. Looks and sounds good, there wasn't the noticeable change in horse power I was hoping for. 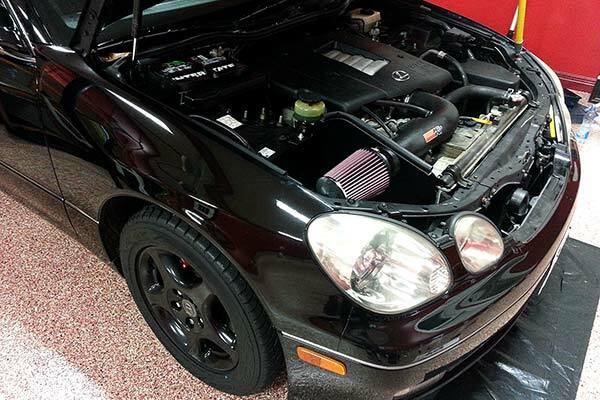 Overall, I am fairly impressed with the intake kit. 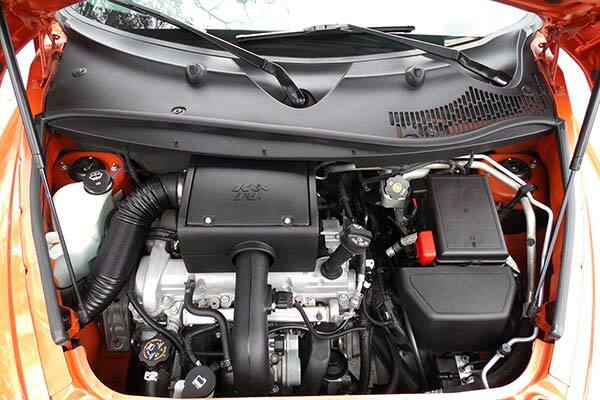 It has produced moderate MPG (1-3MPG) and HP gains. Does not produce the "roar effect" as touted in many of the other reviews. Its more of a sucking air sound. I suppose that the best indication that it is performing is function. Regardless of the price it will pay for itself through the MPG gains and notion of never buying another air filter for my truck. On the average, it was pretty easy to install. I had to adapt the manifold hose grommet. I don't know if it was my imagination or not, but the truck did seem to have more pickup. The real test will be when I pull the boat for the first time. 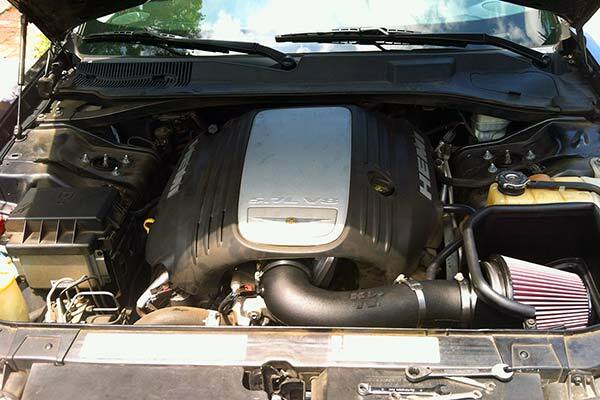 I am trying to eke out a little more power from the small 6 cylinder engine. 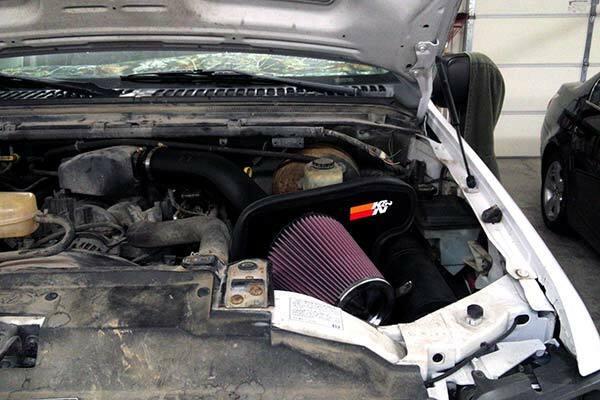 Intake sounds good when you first start it up and at idle. Love the way it sounds when you really get on the throttle. Noticed a 1 to 2 miles in gas mileage.Very easy to install. Hardest part was taking the stock intake out. 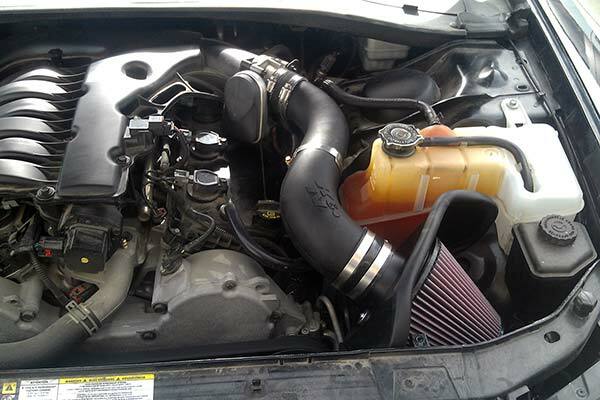 Would greatly recomend this product to anyone looking for a intake. Great product very pleased!! 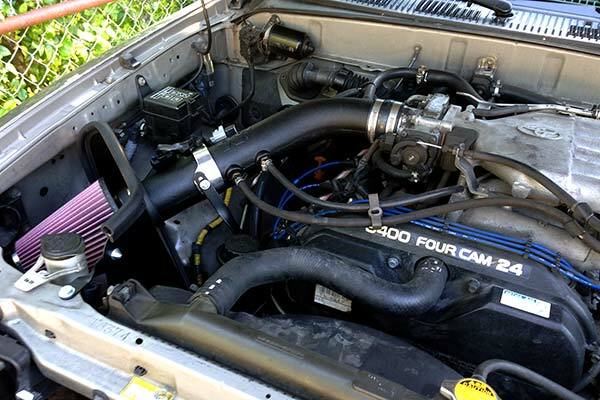 It was fairly easy to install does not seem to make engine sound louder which is okay with me. Loud sucking sound coming from filter not sure if this is normal operating sound or not seems to do the job. Reference # 765-166-528 © 2000-2019 AutoAnything, Inc.